It’s not hard to find a great place to visit in Greece, especially if you’re headed to the islands – but not all of these are the same. Depending on your tastes and preferences, some locations will better tick all of your must-have boxes… and then some. There is a wide choice of luxury hotels, apartments and villas to choose from, and a laid-back vibe that draws visitors in and brings smiles to all. The seasons can have a profound effect on a place too, of course, so if you’re planning to visit in May or June – or both – here are some of our top recommendations. To the west of the mainland lie these jewels of the Ionian Sea. Worth a visit, every single one of them. 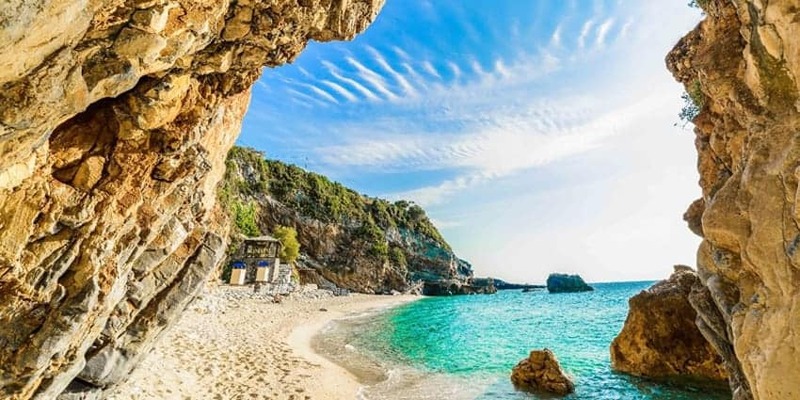 This is the largest island in the Ionian Sea, and though it has become a popular family destination, the island is large enough to seem uncrowded, even when a significant number of people are holidaying there. The area is beautiful, with castles and monasteries that are favourites for photographers, as well as charming villages that make a pleasant complement to the bustling port village of Fiscardo. Kefalonia is especially known for its exotic beaches. Myrtos beach, for example, is a crescent of fine pebbles, nestled in a little half-moon bay. The water conditions can vary from placid to a bit bumpy, depending on the winds, but the water is warm and looks stunning in any weather. Other favourites are Antisamos, Lourdas, and Skala. Among the most well-known of the Greek Islands, Corfu has some of the best sights Greece has to offer. From steep-walled ocean coves with warm blue waters, to majestic churches, fortresses and palaces, the area is a feast for the eyes. 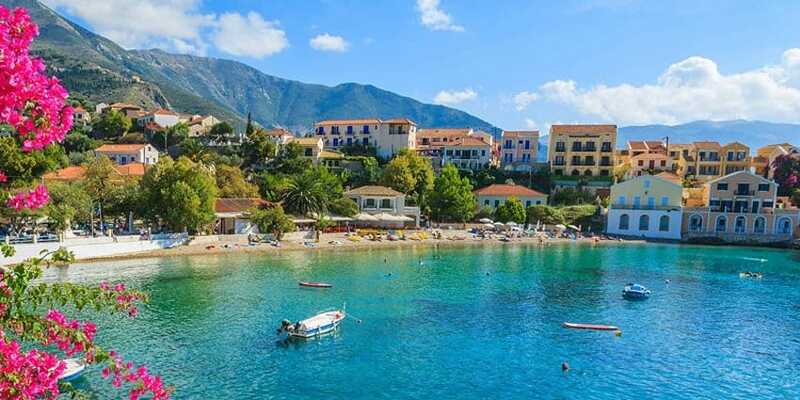 Visitors can walk through the ancient Roman village of Kassiopi, dare the steep and narrow roads down to hidden beaches, or catch a summer panigýria, a religious celebration that mixes all the best parts of festivals and fairs. The moderate rainfall from September to June nourishes the many olive trees that grow throughout the countryside. A drive along the narrow roads is a pleasant experience and shows off a different, more rustic side of the island. Among the best beaches to visit are Marathiá, Gardénos, Ágios, Geórgios, Págon and Afiónas. Lefkada is still a hidden gem of the Ionian islands. Connected to the Greek mainland by a bridge, it is easily accessible and yet has all the charm and relaxed feel of a more remote Greek destination. For a beach with rugged white cliffs at your back, a long, sandy beach under your feet, and the clear blue waters lapping up to your toes, you can do no better than Egremni. You’ll be able to complement your hours on the beach with a few touring the rustic villages of the area, where people live much as they have since the early 1900s. 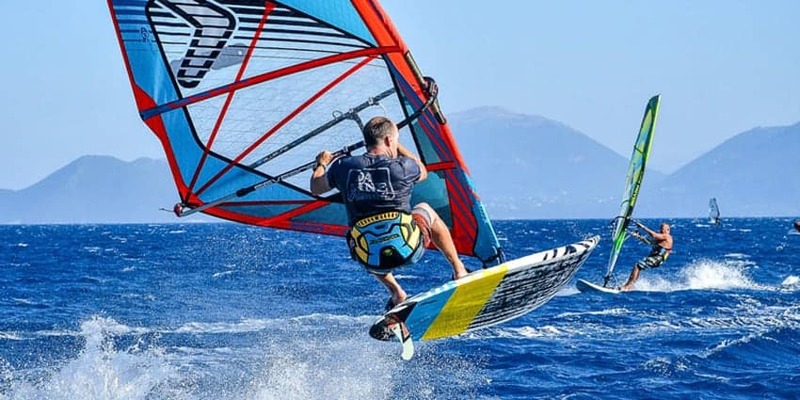 For something a bit more modern, Nydri and Vassiliki have seen a bit more development and are popular with water sport enthusiasts. Paxos (or Paxi) is one of the less-developed islands, but has a magnetic charm that has visitors returning again and again. It is small, only seven miles long and three wide, but that’s a positive rather than a negative, as you can explore the island by car, on foot, by bike, or even boat – nothing is too far inland. There are seafront cafés that aren’t too traditionalist to sell you a cool frappé, local bakeries make bread in wood ovens (but you’ll have to stand in line for loaves), and there are numerous restaurants throughout the island, most of them offering delicious traditional Greek cuisine. 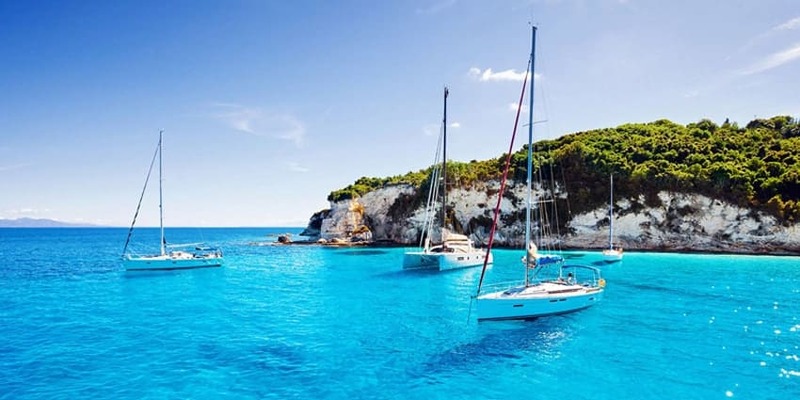 Some visitors use Paxos as a quiet hub from which to explore, taking advantage of the water taxis and caiques to visit Anti-Paxos and Mongonissi, both worthy destinations in their own right. Parga, though it is a town, gets a special mention here as it is perhaps the most popular summer spot in Greece, and has that distinct island feel to it. It is secluded from urban centres, nestled beside three little bays on the Ionian Sea. The shoreline is lined with crescent-shaped beaches, hundreds of sun chairs, and popular hotels. There are tapas bars, restaurants, and resorts to suit every taste for quality and atmosphere. When you take a break from sun and sand, a great pastime is the Castle of Parga, dominating the promontory between the bays. The café there is packed with charm and has wonderful views over the town and water. 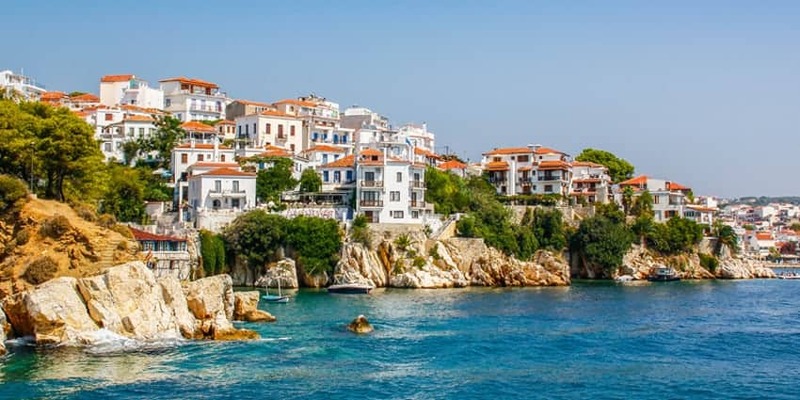 It’s easy to see why Parga is so popular; it combines the best of beach-lounging, wandering village streets, and stunning spots to eat and enjoy the laid-back charm of Greece. To the east of the Mainland, the Aegean Sea has a wealth of small and larger islands, many with distinct features and local cuisines. 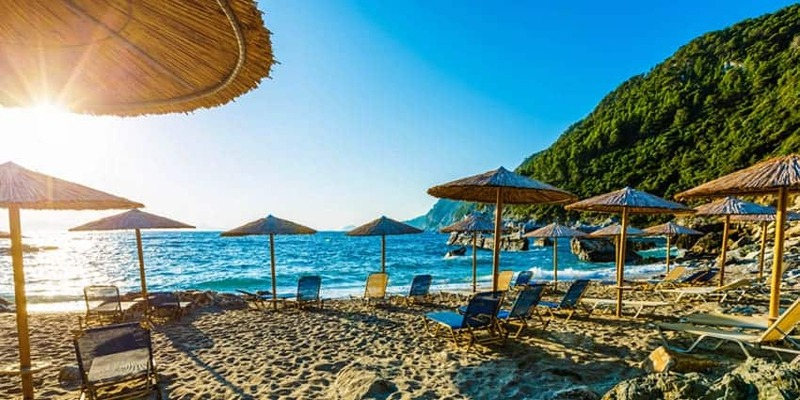 Despite its great beauty and the fame it garnered as the shooting location of the hit musical Mama Mia, Skopelos maintains its traditional feel and authentic Greek culture. This is likely due to the fact that the island is a bit more remote than some of the others, accessed by the ferry from Skiathos, rather than by plane. The towns of Skopelos and Glossa are everything you would expect of a postcard setting. White buildings, roofed with terracotta tiles and punctuated by olive trees pocking their canopies up from the narrow streets and courtyards. They are not overrun with tourists, so don’t expect a resort feel (especially from Glossa) – they are unspoilt, genuine Greek towns. Maybe for this reason, the beaches are not revered as the best in Greece, but they are pleasant, and suit the place well. For a true getaway from the rush of everyday life, it’s tough to beat Skopelos. 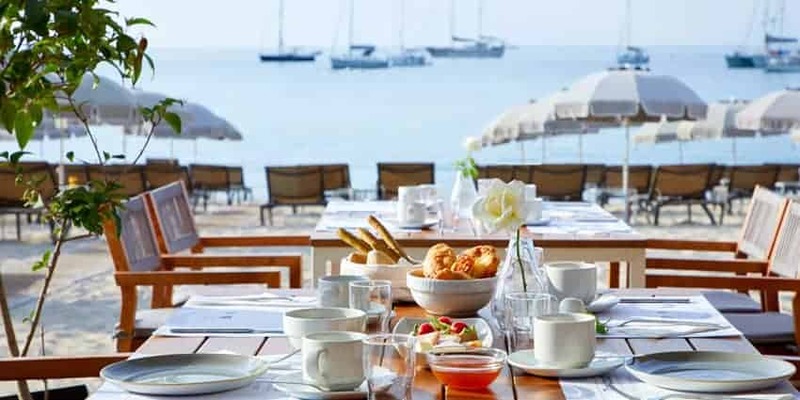 Rich in beaches, and first developed for tourism back in the 1960s, Skiathos is a concentrated treasure of beautiful resorts, great hotels, and stunning waterside retreats. The sea here heats up in late spring, but many of the beachside bars and taverns are closed until the end of May, and the place is overrun by the end of July, so June is the sweet spot here. You’d be forgiven for mistaking beach photos from Skiathos for Caribbean snapshots; the water is very nearly the same, dazzling colour, and the bright paint on many of the buildings evokes a similar festive-island feel. When away from the beach, a walk above the old Port will reveal charming historical churches and plazas, a monastery, and the original, 16th century stronghold of Kástro, once used to protect the island from pirates and now a hauntingly attractive ruin. 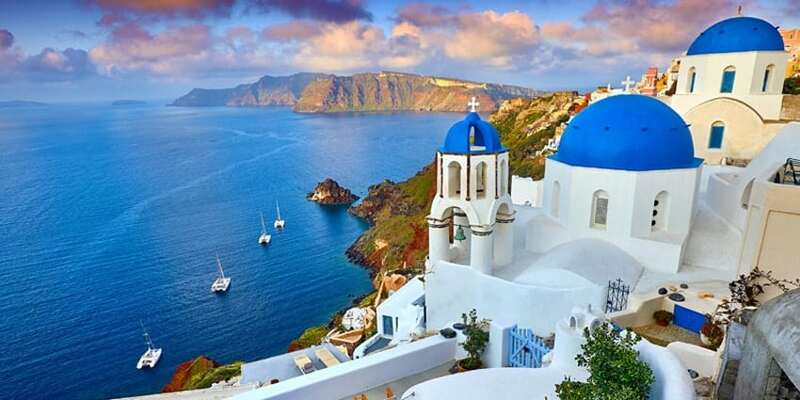 The crescent-shaped island of Santorini is actually the rim of a volcano that once towered up above the sea. Now it is a masterpiece of natural and human-made structures. As you approach the port through the broken ring of the caldera, the first thing you’ll notice is the deep blue of the waters, the black rock beneath it rising up into variegated cliff faces, speckled with the traditional white-washed walls of Greek buildings along the top of them. Truly beautiful, and better than flying in. Whereas the cuisine there is traditional, it is unique to the island, drawing on fresh ingredients flavoured by the volcanic soil. You can even take a class in local cooking from the chefs at Selene. There are ocean-side gems too, with rustic and delicious dishes with a view. Museums, galleries, volcanic-sand beaches, and tours of local winery-breweries will fill your hours with satisfied pleasure. Mykonos is known for excellent beaches and lively parties. If you prefer the former to the latter, visit in May or the first half of June, while it is still quite quiet. Most of the island is criss-crossed with little roads to explore and a trip along the coastline will reveal example after example of hidden little beaches, most with waterside restaurants and many with hotels as well. The coastline – indeed most of the island – is rocky and rugged, but the numerous crescents of sandy beach are sheltered and comfortable, with plenty of facilities and conveniences. Wander the marble streets of the capital town, Hóra, and discover purple-flowered bougainvillea trees, churches, museums, and even Castle Panigirakis. We will admit, Pelion is not an island, but it is worth including here because it is located on a ridge of mountains between the Pagasetic Gulf and the Aegean Sea, with panoramic views of both. Some say the mountain was the home of ancient gods, and you can find a hint of the divine there, amid groves of olive trees and bounding waterfalls. These are complemented by quaint villages and a historical railway that has been running for the last hundred years. Ride the little train, take in your breath as you step amid the frescoes of Taksiarchon Church, do some horseback riding, or take in – literally – some of the many samples of local Greek cuisine. And the beaches? Excellent conditions and wide-open views on both sides. Simply lovely. The Greek islands offer a wealth of options that will satisfy and delight whatever hopes you have in a holiday destination. 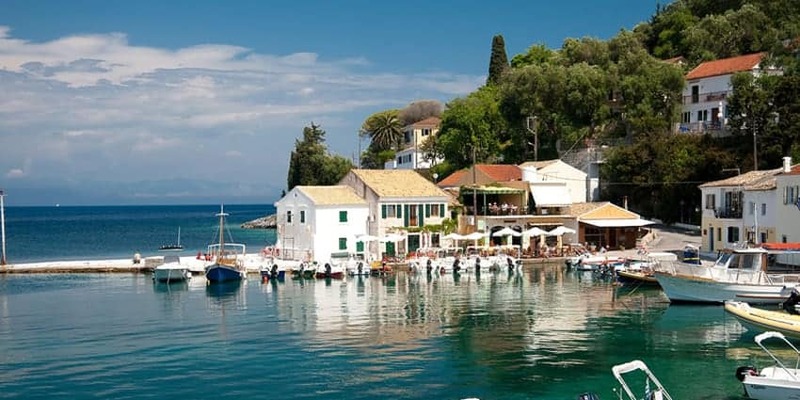 Choose from a long-developed area like Skiathos, or the more remote charm of Skopelos or Paxos, or any point in between. 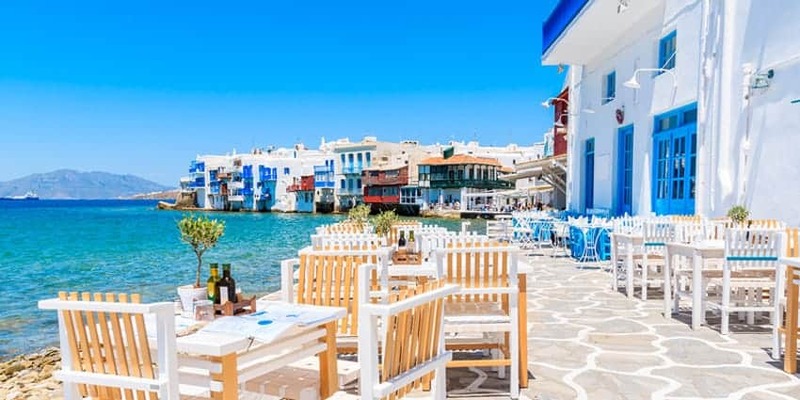 Regardless of your selection, you’ll have excellent local Greek cuisine at your fingertips, lovely beaches beneath your toes, and a breeze of relaxation drifting through each day of your holiday. The islands of Greece do not disappoint.